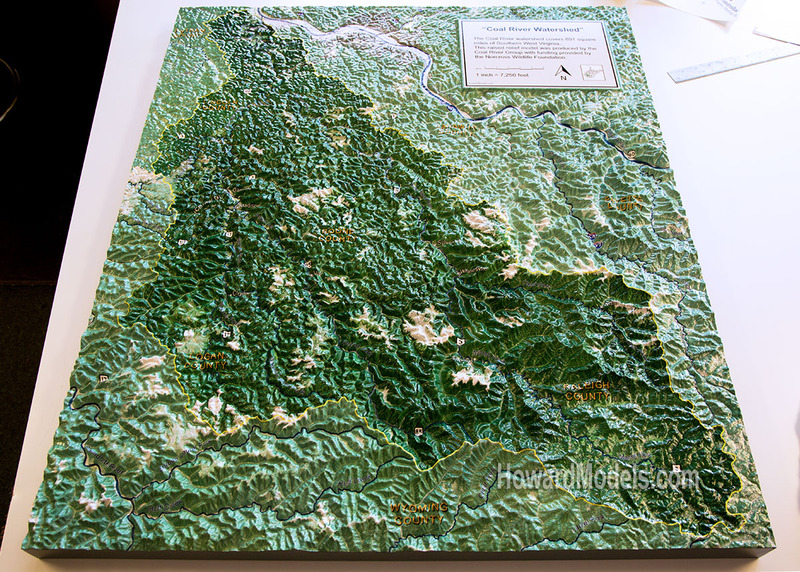 3d Watershed Model with printed surface. 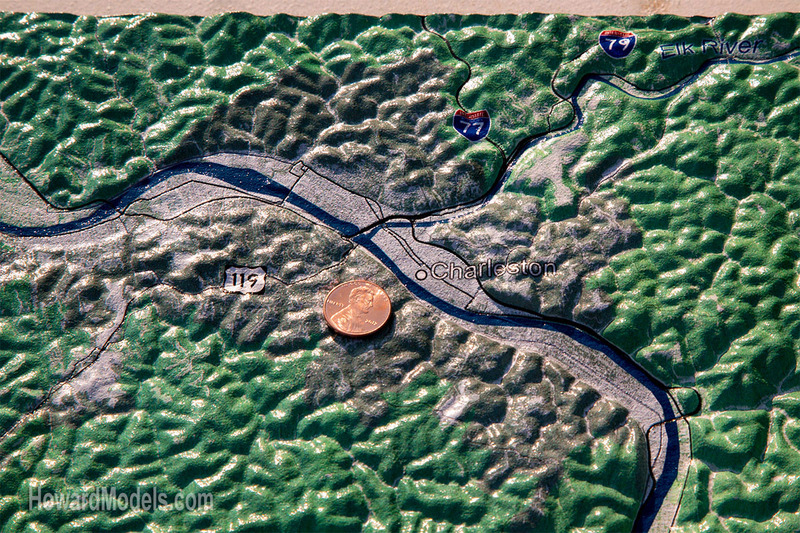 The Coal river Watershed is in the heart of West Virginia Coal Country. The numerous surface mines in the watershed can be seen on the satellite imagery printed on the surface. With so much relief, this watershed model is an invaluable tool when determining locations of surface runoff monitoring stations. Milled out of high density polyurethane foam with satellite/aerial photography printed on the surface, this watershed model was 30"x36". Our watershed model bases are ready to ship in 2-3 weeks.